May | 2009 | Could Joseph and Imhotep have been the same person? The Architect of the Step Pyramid Complex at Saqqara, Egypt. Imhotep was a visor to the King. He designed the Djoser Pyramid Complex. Joseph and Imhotep may be one in the same person. 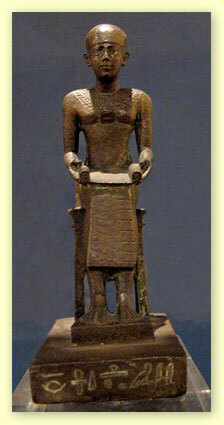 Imhotep was second in charge of Egypt. He designed the Djoser Pyramid Complex at Saqqara. He is also credited with saving his people from a seven year famine. He was not of royal blood. He was born a commoner. When he died, he was burried in a tomb in a coffin like many of the Pharaohs. Many years after his death he was deified. It has been suggested that Joseph and Imhotep may be one in the same person. Massive underground grain silos can be found within the Step Pyramid complex at Saqqara, Egypt which was designed by Imhotep. 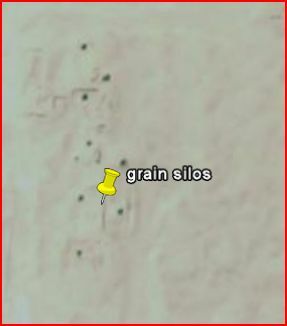 Massive underground grain storage silos can be found within the Djoser complex at Saqqara, Egypt. They may have been built by Joseph. 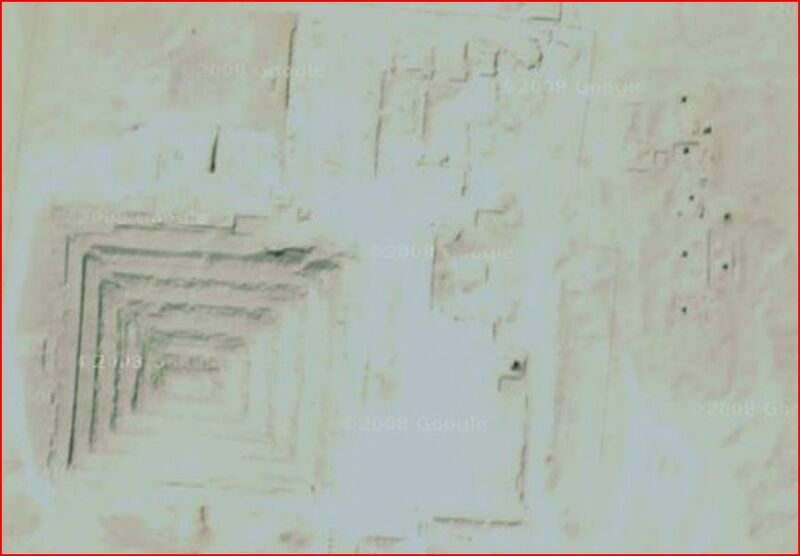 The Djoser pyramid complex in Egypt is surrounded by a high wall. It contains several buildings that may have been used for trading the grain stored in the massive underground silo’s also contained within the complex. The step pyramid was the first pyramid built in Egypt. 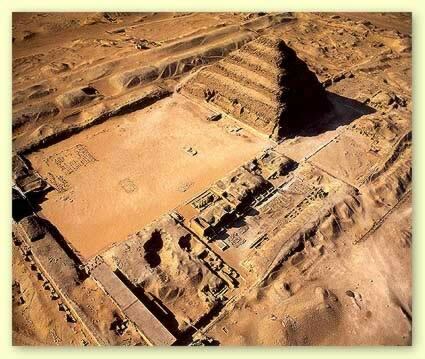 The Pyramid is set over the underground Tomb of Pharaoh Djoser. Unlike other pyramids, the tomb was underground and there are alternative entrances to the tomb. Imhotep is credited for designing the complex. 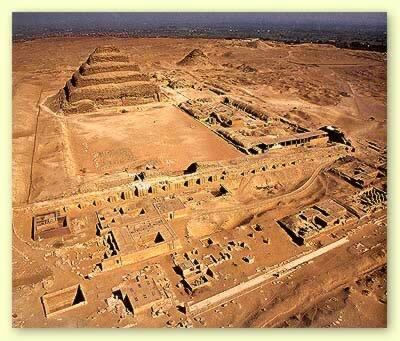 This complex is a links the step pyramid with massive silos that may well have been built by Joseph. Egyptian historical records also credit Imhotep with saving his people from a seven year famine. This was a grain storage and distribution center in Egypt Saqqara designed by Imhotep who may have been the Joseph of the Bible. Note the openings of grain silos in the ground inside the complex on the left hand side opposite the buildings and in front of the Step Pyramid; most easily seen in the schematic view.